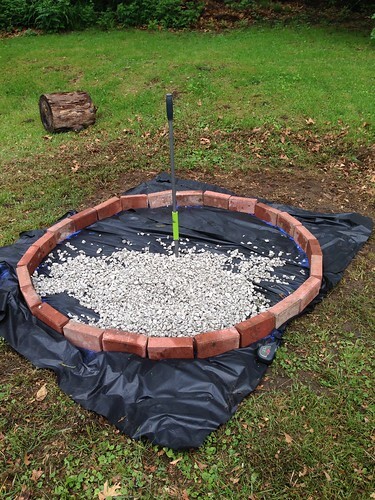 We built a fire pit! Then we built a fire in that fire pit! 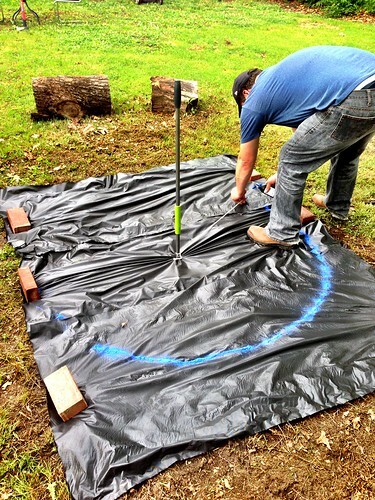 This is how we transformed out backyard for only $50. First, we bought 101 landscaping bricks from someone on Craigslist for $25. Then we bought 650 lbs of gravel for $13, some landscaping tarp ($10) and some carpenter's chalk ($5). The best part was getting the gravel. We went to a place called House of Rock where you can buy gravel by the truck loads. We placed our order and then drove around to the scale. 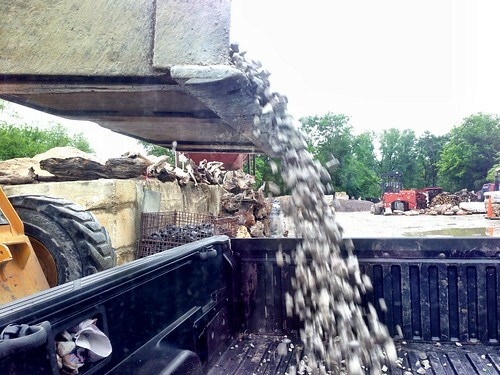 A guy took our ticket and then got in a front loader thing and filled it up with gravel to dump in the truck. But that's not the amazing part. That guy scooped up exactly the right about of gravel. Now that's talent. 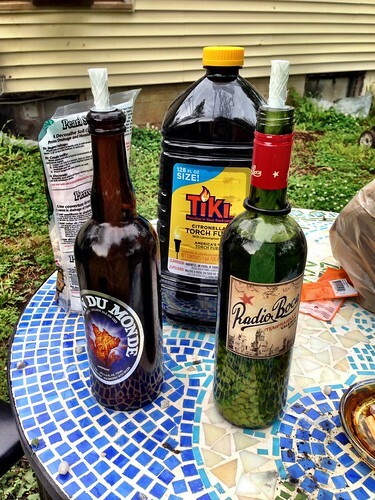 This is what we started with. That pile of wood has been sitting there for three years. 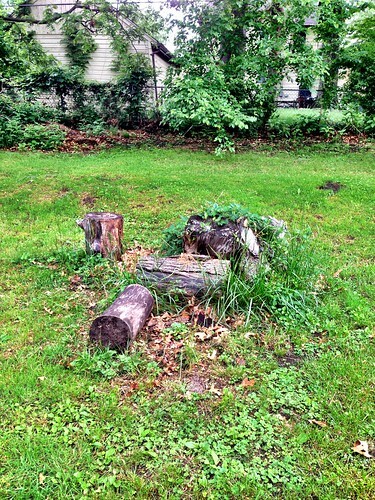 It's the leftovers from that big tree fall of 2011. First we laid out our frame. 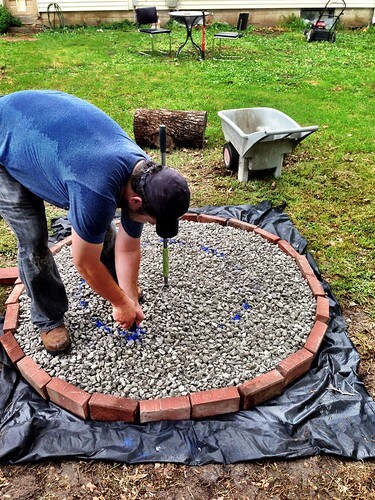 Next, we put down a ring of bricks and filled it with gravel. Then we drew another chalk circle. 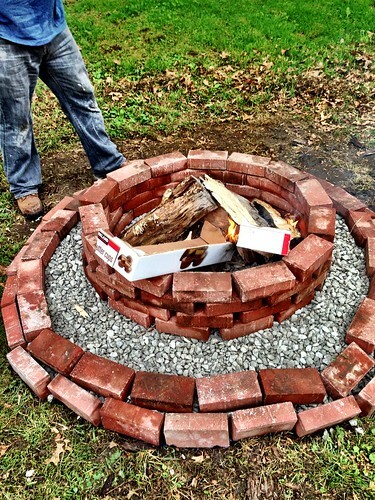 Since the fire pit plans were inside Michael's head, he decided to take over the next part of creating the inner brick ring. 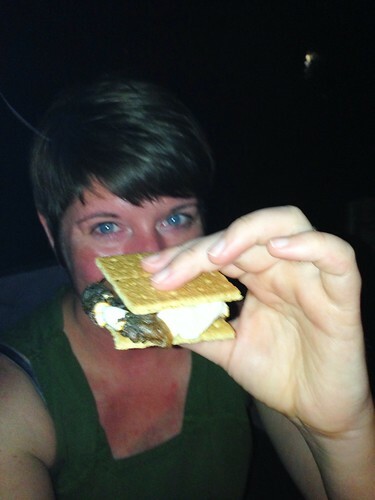 While he did that, I made citronella torches out of booze bottles. That's pretty much it. And pretty much as DIY as I get. Hope your weekend was delicious.